The first class of operators has become certified to operate The Hop. The group participated in an intensive months-long program that covered all of the intricacies of the Brookville Liberty Modern Streetcars. From standard operating procedures to customer service, these men and women are now experts on the vehicles, the route and the services passengers will enjoy beginning this fall. 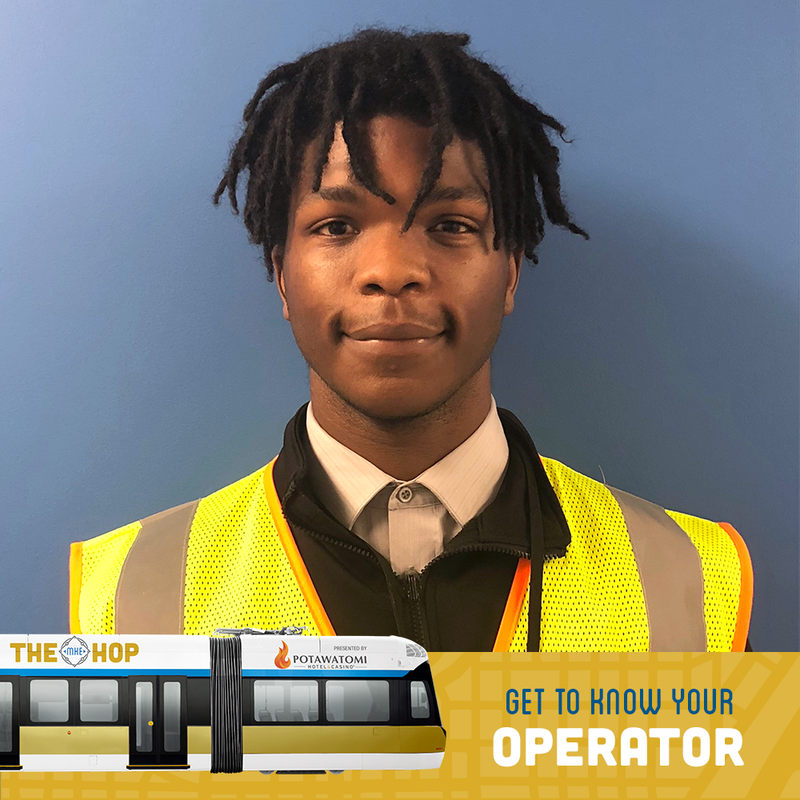 Each week we’ll be spotlighting one operator for The Hop and sharing their unique stories. 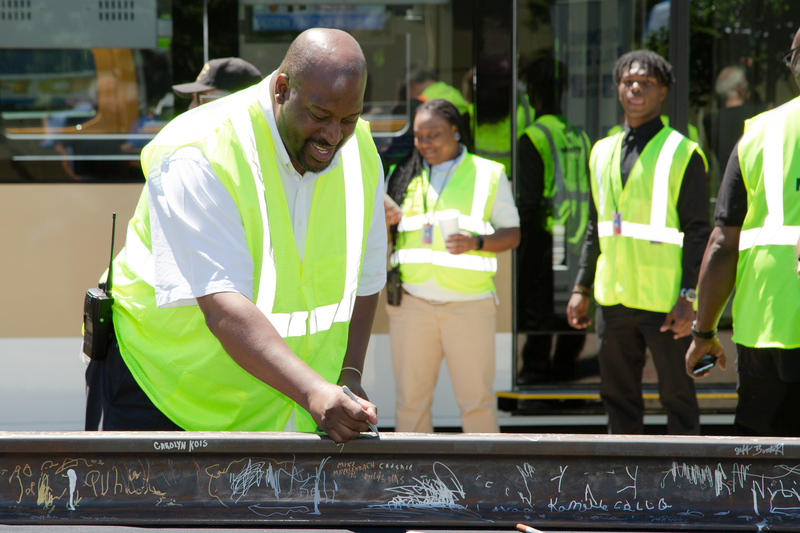 The Hop streetcars are operated by a talented and diverse group of men and women, many of them Milwaukee natives. Every operator has completed an intensive months-long training program that covers all of the intricacies of the vehicles, including over 80 hours of actual on-street training. From standard operating procedures to customer service, these men and women are experts on the vehicles, the route and services passengers now enjoy. 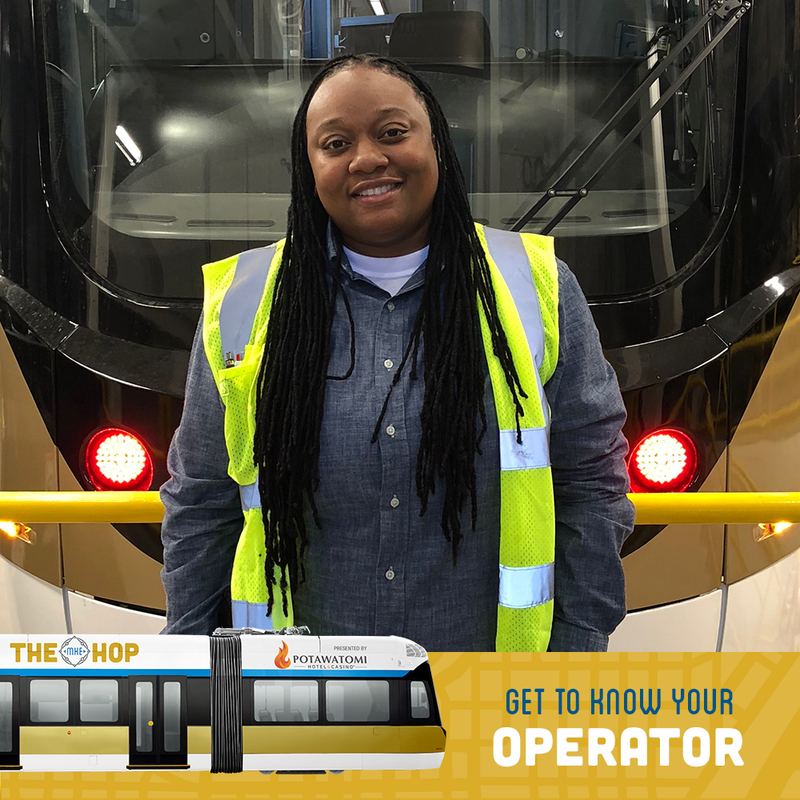 Each week we’ll be spotlighting one operator for The Hop and sharing their unique stories. NEWaukee’s Night Markets have been such a fun way for us to connect with all of you Hop fans! Stop by our tent any time from 5-10 p.m. on Wednesday, Sept. 12 to learn more about the streetcar and how – together – we can keep our downtown hoppin’. See you there! 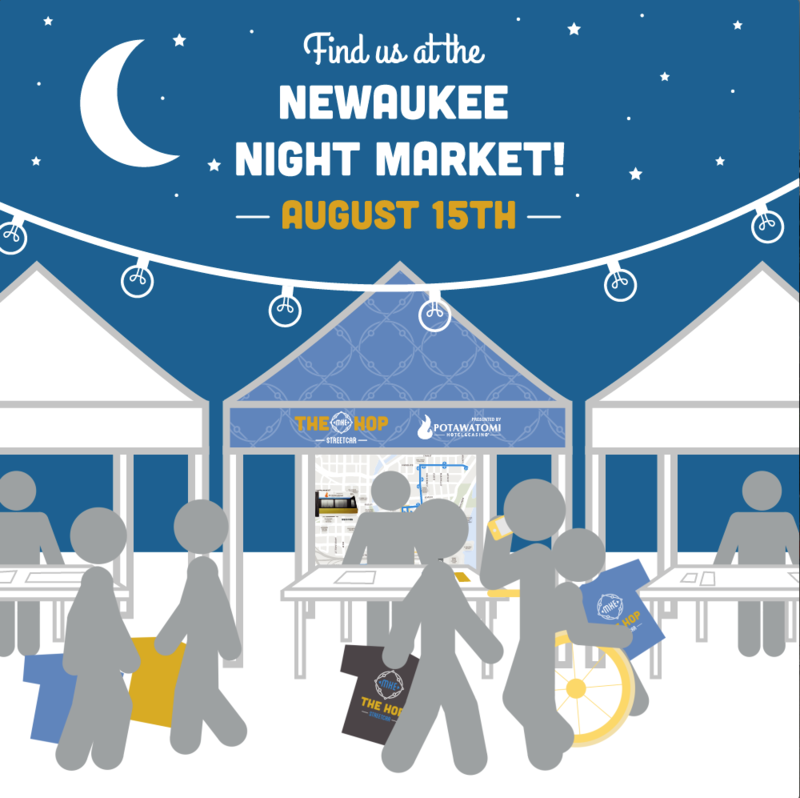 With live music, food trucks, local arts and much more, there’s something for everyone at NEWaukee’s Night Market. 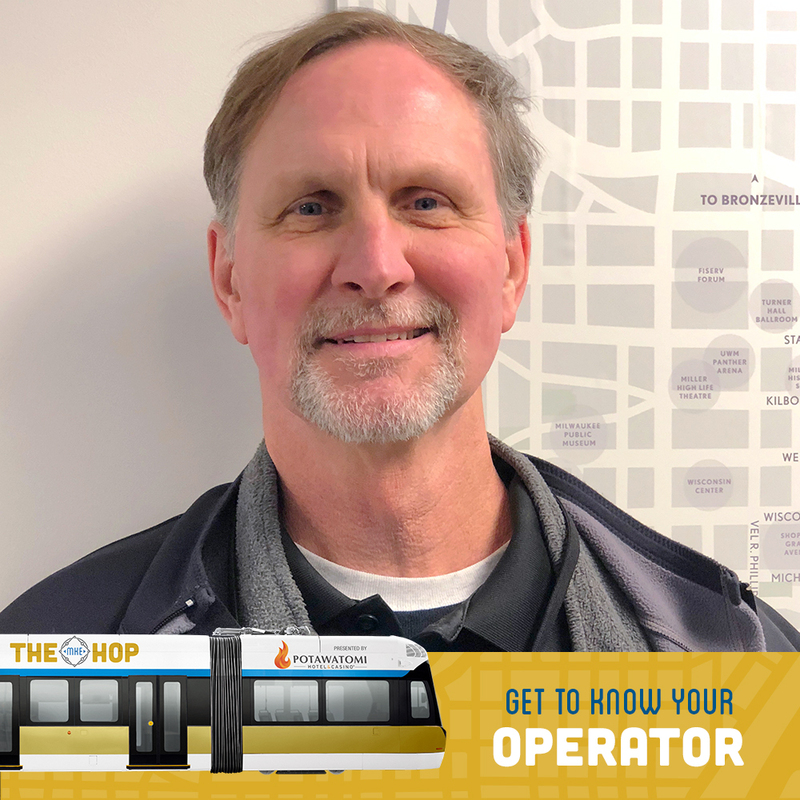 Stop by The Hop’s tent any time from 5-10 p.m. on Wednesday, Aug. 15 to learn more about the streetcar and how – together – we can keep our downtown hoppin’. See you there! 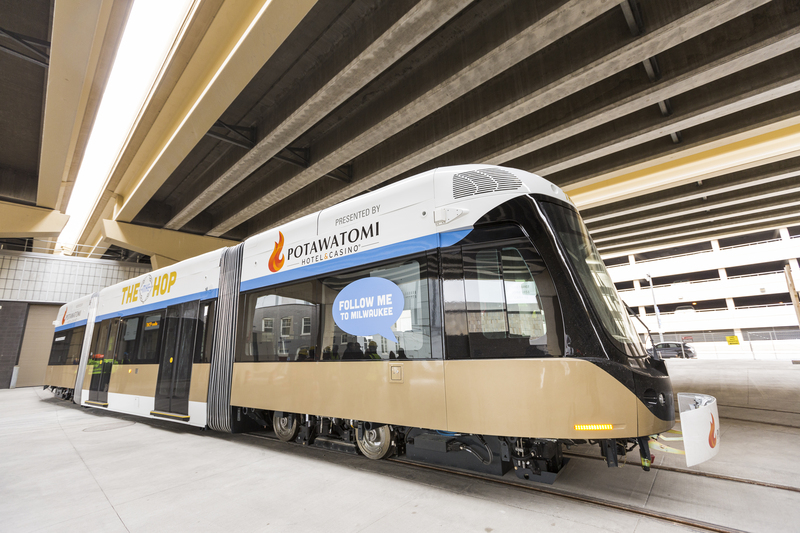 The Milwaukee community left its mark on a historic event on Monday, July 2 at a “last weld” ceremony for The Hop, presented by Potawatomi Hotel & Casino. The proposed, future extensions of the The Hop north along Dr. Martin Luther King Jr. Drive and south into Walker’s Point have the potential to connect people to jobs, attract new businesses, bring new housing options and improve public open spaces. The City of Milwaukee, Historic King Drive Business Improvement District, Walker’s Point Association and Harbor District Inc. are planning for how to ensure residents and businesses benefit from the potential changes that improved transit could bring to the neighborhood.